Our FXS gateway selection includes gatways with 1, 2, 4 and 5 ports that support SIP, H.323, IAX2 and MGCP protocols. 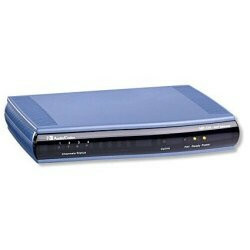 Brands include Adtran, Audiocodes, Grandstream and Mediatrix. VoIP Supply knows that deploying a new VoIP phone system doesn't always mean that you need new VoIP phones to go along with it. Connecting to VoIP services via an FXS Gateway is a simple and cost effective way to wrestle extended returns from your existing analog phones or fax machine. FXS Gateways employ RJ11 ports that will leverage your analog office phones and fax machines to communicate with your new VoIP PBX system with VoIP protocols and will encode/decode the voice signal with voice codecs. All of our FXS Gateway gateways carry a standard manufacturer's warranty, are supported by our in-house team of VoIP gateway experts and are compliant with most VoIP protocols and codecs. Value packed FXS Gateways from VoIP Supply will re-energize your phone system's ROI. 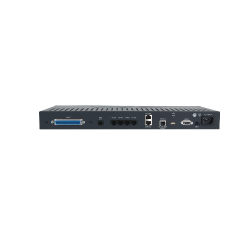 The Sangoma Vega50 4 FXS + 2 FXO Gateway has 4 FXS ports for connecting analog devices and 2 FXO ports for PSTN connection or lifeline failover. 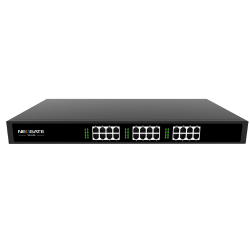 The Audiocodes MediaPack 114 Gateway with 4 FXS Ports allows up to 4 analog phones or fax machines to connect to the IP Network. The Audiocodes MediaPack 124 Gateway with 24 FXS Ports allows up to 24 analog devices to access VoIP through your IP Network. 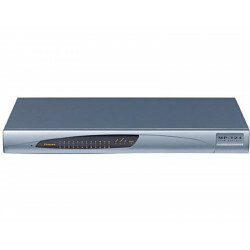 The Audiocodes MediaPack 118 Gateway with 8 FXS Ports allows up to 8 analog phones or fax machines to connect to the IP Network. The Yeastar NeoGate TA2400 is a multi-port FXS gateway including 24 FXS ports, line echo cancellation and is compatible with both SIP and IAX2. The TA2400 is ideal for small and medium enterprises that wish to integrate a traditional phone system into IP-based system. The Yeastar NeoGate TA1600 is a multi-port FXS gateway including 16 FXS ports, line echo cancellation and is compatible with both SIP and IAX2. The TA1600 is ideal for small and medium enterprises that wish to integrate a traditional phone system into IP-based system.